March 11th was a very special day for me. A couple of months previously a friend of mine suggested that we throw caution to the wind and unleash our creativity on the general public at the Yardley Hastings Vintage Fair. We’d been talking about making things for months over cups of tea, so this was the opportunity to put the chat into action. The fair was organised by Sally of One Fat Hen, a superb crafter who miraculously transforms preloved jumpers into works of art, along with lots of other beautiful things, usually lit up by fairylights. I’ll admit, the night before I was cursing my friend for signing us up – not least because it was my birthday and rather than supping a celebratory drink, I was frantically making and threading up tiny price labels and trying to squeeze everything into the back of a Renault Clio. But what a day. The weather was gloriously springlike, and the atmosphere was gorgeous. Bunting (another addiction of mine) was strung up everywhere, music playing, homemade cakes and tea served on vintage china, and polka-dot dresses. Heaven! 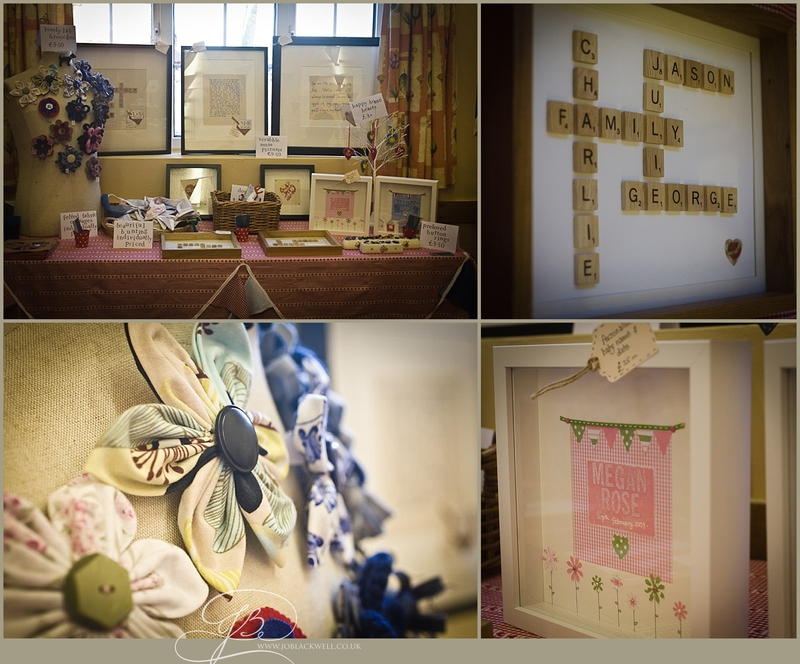 Everything was captured beautifully on camera by Jo Blackwell of http://www.joblackwellphotography.co.uk/. My friend Becky has an annoying habit of being right about most things and she didn’t disappoint on this occasion. I was amazed and delighted to discover that people were interested in the things I’ve been thinking about at 2am, visualising at 3am and then making in daylight hours. Since then I’ve been busy making lyric pictures, baby bunting pictures and scrabble pictures and meeting some lovely people along the way! 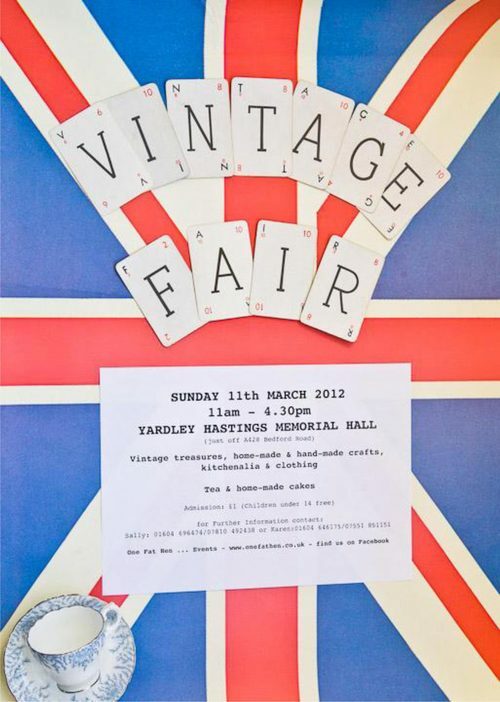 We’re now looking forward to hopefully being back in Yardley Hastings on 10 June.